This pack previously published by Viassone. 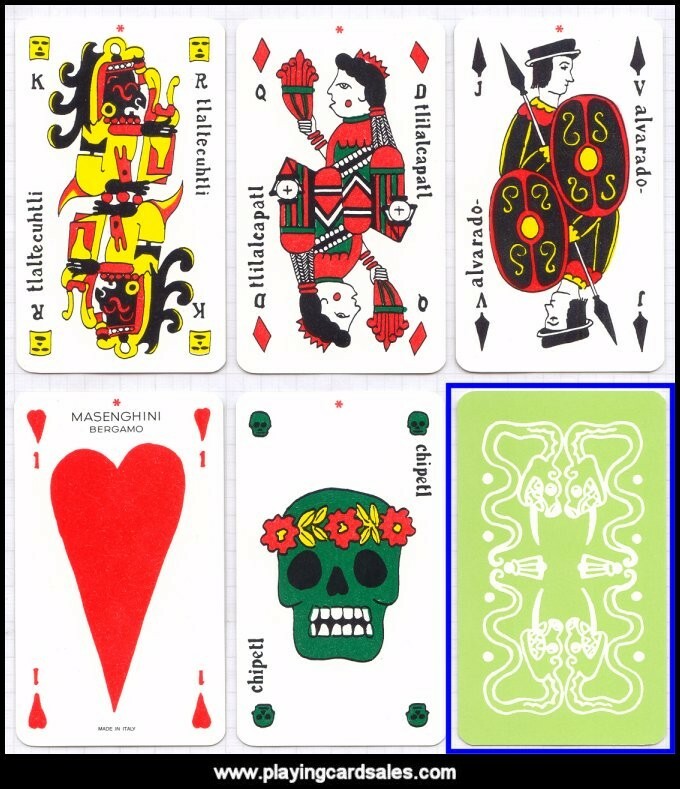 The four traditional French suits plus an extra suit of masks, plus four Chipetl cards, one Taotl card, one Red God card and one Black God card. Intended to be used either for divination or for a special card game. 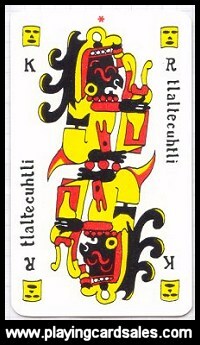 72 cards + booklet in Italian only with instructions for divination plus rules of the special card game.